Tag Archive | "hugh howey"
You can enjoy success in a self publishing micro business by writing about benefits to like minded souls with common interests. The ultimate form of financial security is to have your own publishing microbusiness. Internet makes this easier to attain than ever before, wherever you are. For example we can (and do for five months of the year) run a global business from our very remote Blue Ridge farm. 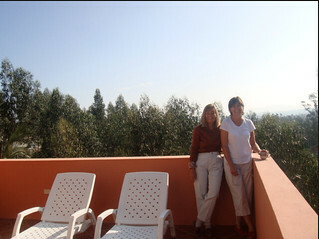 Two of our readers below have moved from the US to Ecuador but are able to still be successful in self publishing. Your business will be especially fun and fulfilling when correctly developed with the Seven Ps because it will attract the most interesting people in the world… like minded souls with common interests. You’ll know you are on track when you receive letters like this: Hola Gary, It is certainly a small world to have breakfast in Cuenca with someone we met in Florida in March of 2013 at the Community Magazine workshop you two put on. 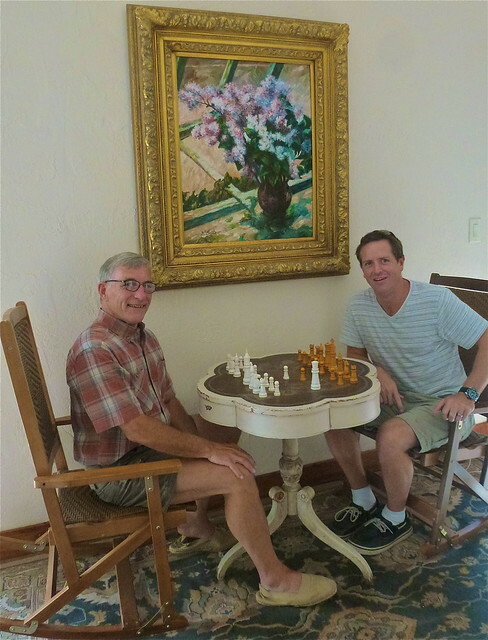 We had a wonderful, but all too short, visit with David and plan on growing our friendship. The magazine he is starting down here sounds interesting and we hope we will be able to become involved by writing articles. We will just have to see what happens but it will be fun to get to really know both David and Sherry. 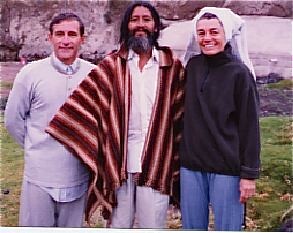 Dave Johnson, Sue and Michael Heron (see a link to Michael’s self published books below). Hope all is well with the two of you. Were your ears burning? We were talking about you and how wonderful and inspiring you both are and how fortunate we were to know the two of you. Merri and I have been able to meet so many interesting people through our self publishing micro business. 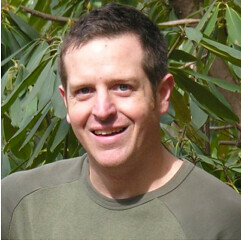 Hugh Howey is an example. 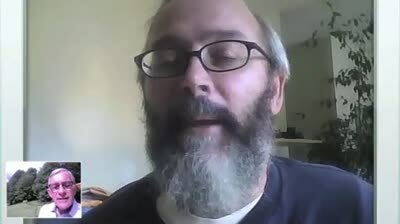 Hugh is a writer that every self publisher should meet and hear because his educational background has little to do with his writing and he only recently began selling his books. His self publishing company is already exceeding a million sales. Yet selling has not been his main goal. Hugh’s story teaches us many lessons. First, he shows that you do not have to have a degree in literature to succeed in writing. He dropped out of college and moved from job to job, being a Caribbean yacht captain, doing computer repair, roofing, and finally working in a small Appalachian town as a bookstore clerk. Hugh’s story shows how offering free or low cost books at Amazon.com to build a list of interested readers is one of the first steps to successful self publishing. This makes financial sense because low cost books immediately earn more for self publishers than high cost print books earn for writers sold through the old, dying, traditional bookstore route. Getting beat in chess by Hugh Howey at our farm. 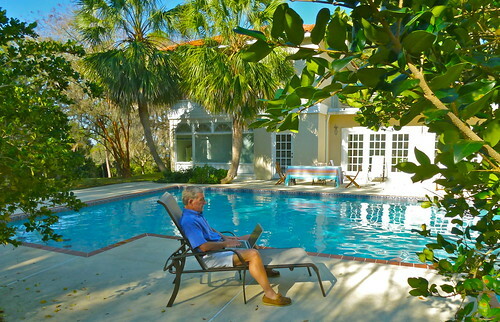 Another lesson from Hugh Howey’s story is that you can write anywhere… even part time. Hugh wrote “Wool” in his spare time at home and in his breaks at work. Part time is how many self publishers start. You can start anywhere as well. Hugh H0wey did all this from Boone, North Carolina, a small mountain town population 17,189 people. Not every writer by the way will do this well. Fortunately most don’t need to. To see why, keep reading. In Hugh’s case in 2011, Hugh began selling “Wool” through Amazon’s Kindle Direct Publishing system, choosing to do so due to the freedom of self-publishing. After the series took off he began soliciting international rights in 2012, including signing a deal for Brazil. Then Hugh’s book was optioned for film by Ridley Scott, director of Blade Runner and Alien. In 2012, Hugh signed another deal with Simon and Schuster to distribute “Wool” to book retailers across the US and Canada, but he turned down seven figure offers and took a mid six figure sum in return for maintaining e-book rights. 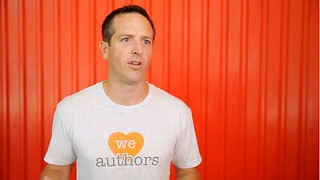 See an eight minute video interview with Hugh Howey here. 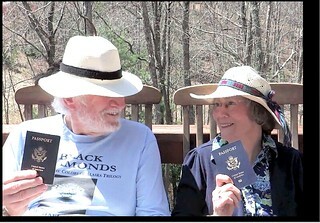 Bob and Anne Gandt are another another example of great friends we have met through our self publishing micro business. Bob’s writing niche has been flying and war. He published his first story at age sixteen – the same year he first soloed an airplane. Since then he has logged something over 25,000 hours, written and published fourteen books and published countless articles. His 1997 book, Bogeys and Bandits, (Viking Penguin) told of a training squadron at the same base where he had trained years before. This book led to a CBS series Pensacola: Wings Of Gold. Bob worked as writer and technical consultant for these twenty-two-episodes, which starred James Brolin as the commander of a Marine F/A-18 training squadron. When you get CBS telling your story 22 times… believe me you have tapped into the national psyche! Now Bob’s focus is on self publishing. As an author whose numerous books have been published for and sold through book stores… he sees the bookstore path filled with dinosaurs and feels one of his great accomplishments is to have kept the digital rights to his books. We have Hugh who started with ebooks and added print. Then we have Bob who started with print and has added ebooks. They all come together and are part of the process… but ebooks makes this easier than ever before. 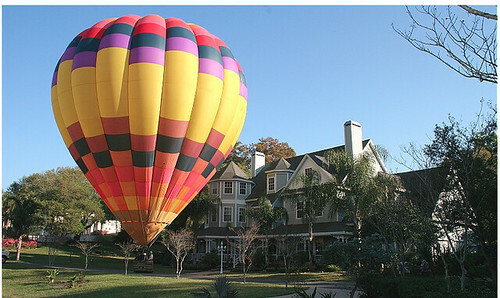 The lesson is that technology now provides all of us with many ways to write to fulfill our passion and create profits. 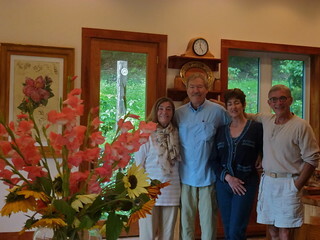 Merri and I with Bob and Anne Gandt at our farm. Our Self Publishing course has brought so many interesting people into our lives as we helped many get started. Here are a few more examples. One inspirational story and lesson comes from Barry and Janae Weinhold who write only non fiction. 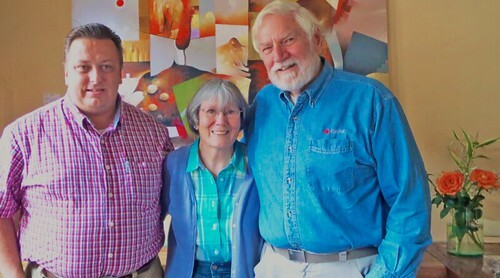 Barry and Jane were already highly successful authors when they attended our Writer’s Camp. They wrote: We were successful authors before attending the Writer’s Camp, with our first book published in 1989 selling over 200,000 print copies. With the tips from your course last fall, we have published six new ebooks in Kindle format that are now available at Amazon.com. Self Publishers can also write in more than one niche. 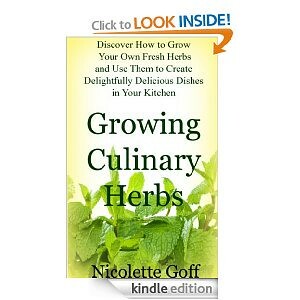 Nickolette Goff writes non fiction in two niches. 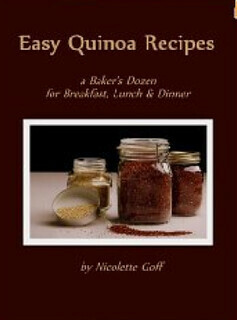 After attending our Writer’s Camp, Nicki used what she had learned to help promote her first book… a Quinoa recipe cookbook with 13 recipes. 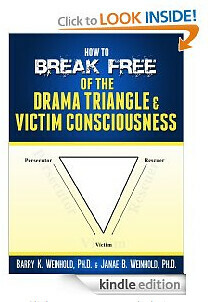 She had 10,000 downloads of the book in five days and obtained dozens of good reviews! See more on Nicki’s books below. She used the three day free Kindle marketing program again. Mike Herron who used our self publishing course loves to travel so he researched places he loved to complete two romance novels. He wrote: Hello Gary, I wanted to thank you and Merri for once again providing a wonderful and motivating experience at the Writer’s Camp last month. As with your other workshops I’ve attended, it inspired me to return home and finish my second book and get it published. 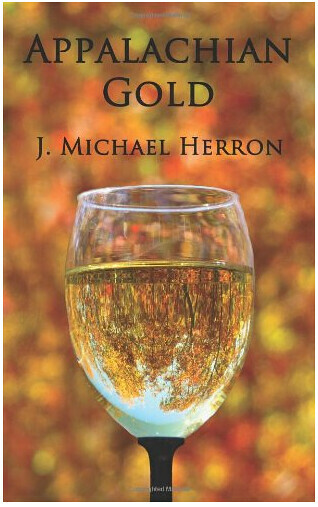 I’m pleased to announce that Appalachian Gold is now completed and available for people to purchase and read. It is available on Amazon in either e-book format or as a print-on-demand hard copy. If any of your readers are aspiring authors who have yet to be published I would strongly encourage them to sign up for one of your writing camps at the first opportunity. I know the experience will provide them with the skills, knowledge and perhaps more importantly, the motivation, to return home and turn their dream into reality. Self publishing micro businesses are in a win – win situation for many reasons. Self publishing micro businesses provide freedom. Self publishing micro businesses bring mobility. Self publishing micro businesses put us together with the people we are most likely to enjoy. Self publishing micro businesses offer tax benefits. Self publishing micro businesses are protected by the constitution. Self publishing micro businesses are inexpensive to start. Self publishing micro businesses can create multiple profit. Enjoy fun and fulfillment plus everlasting wealth with a self publishing micro business. Choose to do something you consider important. What you write creates power because writing serves others through the multiple effect. You only write something once but the reading can go on and on. For example, micro self publishing is important to freedom. This is true even in fiction. Imagine the lives changed by the fiction of Ayn Rand… Aldous Huxley and George Orwell. A good example can be seen in Hugh Howey’s novels. They cover many important themes about freedom. 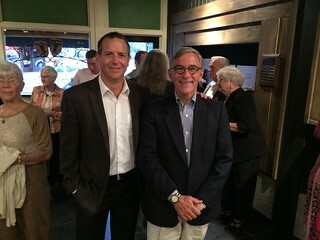 Hugh Howey and Gary Scott. See a link to 14 Hugh Howey interviews below. Recently Merri and I enjoyed a Tzimon Barto concert with a number of friends including Hugh and his wife, Amber. The next morning I was talking with Hugh about themes in his book “Wool” and the idea that governments pull the wool over their citizens’ eyes. Wool is a wonderful read but also a powerful book because it helps its readers reflect on how we can lose our freedom. Micro self-publishing is becoming increasingly important to the freedom of the world. A recent Bloomberg article entitled “Bloomberg Hints at Curb on Articles About China” by Neil Gough and Ravi Somaiya shows how important the writing of small independent self publishers can be. The article shares comments from Bloomberg’s chairman. He comments on the fact that about 82 percent of its $8.5 billion in revenue comes from terminal sales to financial services firms. Such sales declined in China after Bloomberg in an article on the family wealth of Xi Jinping, as he was becoming Communist Party chief. Chinese officials ordered state enterprises not to subscribe to the service. The article said: Bloomberg’s chairman said the company should have reconsidered articles that deviated from its core of coverage of business news, because they jeopardized the huge sales potential for its products in the Chinese market. There you have it… one of the most important financial medias in the world deciding to hold back on important news because sharing the truth might impact their sales. Global media companies with huge overheads are subject to economic and political pressures that can pull the wool over the reading public’s eyes. We, the small independent self publishers, remain a bastion who can serve up the truth without our honesty negatively affecting our bottom line. We are always learning how to deal with quirks in the internet era. We learned one today. The email we sent to you today did not transfer the link to the 2 minute Hugh Howey video at CreateSpace. The links works fine at the website but you could not click on from the email. You can see the Hugh Howey Video it here. CreateSpace is a wonderful tool that can help self publishers. This company is a subsidiary of Amazon.com and helps self publishers sell books, CDs, and DVDs for a fraction of the traditional cost without giving up ownership and control. Anyone interested in self publishing should get the CreateSpace newsletter. This month our friend, New York Times bestselling author, Hugh Howey was the spotlighted author in the March CreateSpace newsletter. Hugh was inspired to write throughout careers as a yacht captain and a bookseller before independently publishing WOOL. See his comments from the CreateSpace newsletter here. Balance in life is important. When you have your own self publishing business, or any micro business sometimes it is hard to maintain balance. This can create stress. 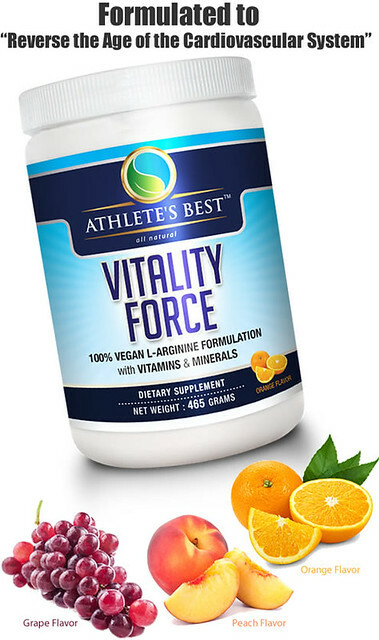 The American Stress Institute calls stress the #1 American health problem. 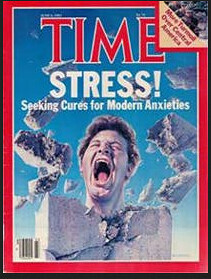 The institute’s webpage tells how Time magazine called stress an epidemic and referred to it as America’s leading health problem. They say that numerous surveys confirm that adult Americans perceive they are under much more stress than a decade or two ago. They also state that a Prevention Magazine survey found that almost 75% of Americans feel “great stress” one day a week with one out of three indicating they feel this way more than twice a week. It has been estimated that 75 – 90 percent of all visits to primary care physicians are for stress related problems. Job stress is far and away the leading source of stress for adults. This is one reason self publishing and writing are such wonderful businesses. You can normally choose the amount and type of work you want to do. Since the work can be of your choosing, it can also be fun. With fun, work doesn’t seem like an effort and this dramatically reduces stress. I start my work early because I love doing so. I feel cozy sitting quietly in the sunrise creating thoughts and ideas to share with my readers. The work is not just for the money. I write about what interests me. The task of writing is a pleasure. I look forward to this early morning time shared with the keyboard and my thoughts. However this balance is not always attainable. Self publishing like any business can at times create stress and be hard work! One part of our Writer’s Camps is learning how to deal with stress… created by failure and success. We look at ways to gain balance through exercises of all five sense to create a state of relaxed concentration. This is where maximum productivity with minimal stress is achieved. For example we look at how to improve natural health and reduce stress with essential oils using the senses of small and touch. 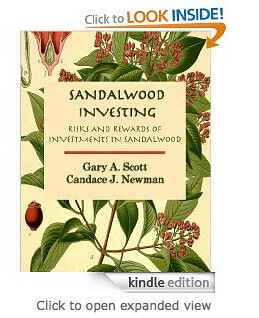 I have been writing a lot about Sandalwood Oil because it has so many potential uses including being an efficient, but very safe anxiolytic agent which is an antipanic or antianxiety drug or agent that inhibits anxiety. A scientific study in Japan entitled “Prolonged anxiolytic-like activity of sandalwood (Santalum album L.) oil in stress-loaded mice” looks at the power of sandalwood oil. This study suggests that the A and B Santalols in the Sandalwood are powerful components that create anxiolytic like activity. The study showed that that the fragrances have an immediate effect but that there is also a prolonged anxiolytic-like effect observed for Sandalwood oil indicating that the study revealed a novel and important finding. See a link to the entire study below. Balance in life is important and there are many ways to maintain calm and productivity. We look forward to sharing them with you. The shares in TFS Corp. are about $1 a share and have the potential to rsie to $10 a share. This share is listed on the Australian Stock Exchange and I have published a report at Amazon.com that analysis this share. See the report at Amazon.com. Learn how to start the day with Sandalwood and Rose oil to improve health and reduce stress. 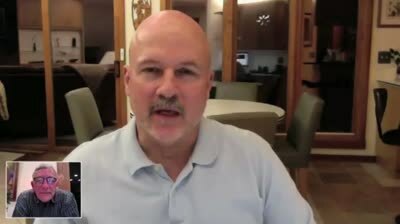 Here are three short videos on self publishing. In 2011 while working at a book store for $10 an hour, Hugh Howey typed out a short story “Wool”, during his lunch breaks. Soon this publication was earning him over $100,000 a month on Amazon. Hugh is really worth listening to. His latest book Dust moved up to #7 on the New York Times best seller list! Then Hugh’s book was optioned for film by Ridley Scott, director of Blade Runner and Alien. In 2012, Hugh signed a deal with Simon and Schuster to distribute Wool to book retailers across the US and Canada, but he turned down seven figure offers and took a mid six figure sum in return for maintaining e-book rights. 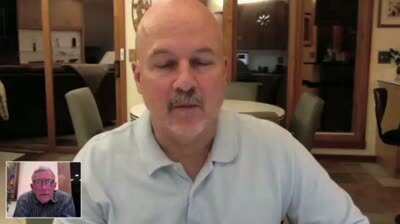 Scott Nicholson on How One Book Can Multiply Sales Author Scott Nicholson was a musician, a newspaper reporter, dishwasher, carpenter, painter, paranormal investigator, baseball card dealer, and radio announcer. Scott Nicholson specializes in horror and thrillers, often set in rural Appalachia. The success of “The Red Church” at Amazon led Amazon’s publishing subsidiary Thomas & Mercer to sign him to a two book deal. Laury Dahners is an orthopedic surgeon who teaches at the University of North Carolina Medical School, Department of Orthopaedics. He became interested in writing novels and writes a great science fiction series in his spare time. Here are three short interviews with Hugh Howey – Scott Nicholson and Laurie Dahners about pace of work in self publishing. In 2011 while working at a book store, Hugh Howey typed out a short story “Wool”, during his lunch breaks. Soon this publication was earning him over $100,000 a month on Amazon. Hugh is really worth listening to. His latest book Dust moved up to #7 on the New York Times best seller list! In Hugh’s case in 2011, Hugh began selling Wool through Amazon’s Kindle Direct Publishing system, choosing to do so due to the freedom of self-publishing. After the series took off he began soliciting international rights in 2012, including signing a deal for Brazil. In 2012, Hugh signed a deal with Simon and Schuster to distribute Wool to book retailers across the US and Canada, but he turned down seven figure offers and took a mid six figure sum in return for maintaining e-book rights. When this message was posted Hugh is visiting Frankfurt, Paris, Madrid, Helsinki, Istanbul, Rome, Amsterdam, Milan and Taiwan… not as a tourist… but to help launch his books. This is a great way to see the world… working with others rather than as a tourist. 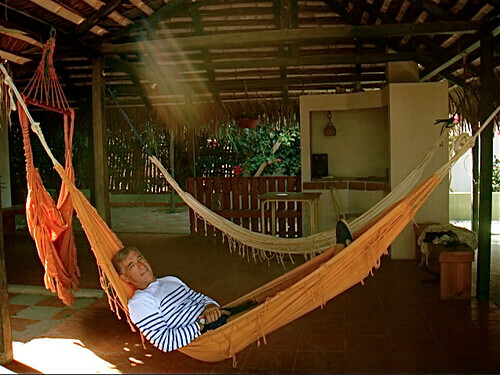 This is how to see the real part of a country… with its business people… not as a tourist. That’s just a few of the things that can happen when you wrote to sell. I got to know Hugh Howey originally through Amazon.com. While searching for inexpensive Sci Fi I took the offer of his great novel “Wool” free at Amazon.com. I was hooked and ordered and read all his Sci Fi books. 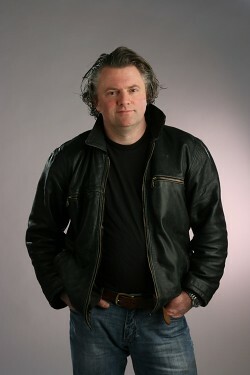 Author Scott Nicholson has written 15 thrillers, 60 short stories, four comics series, and six screenplays. He lives in the Appalachian Mountains of North Carolina, where he writes, tends an organic garden and generally lives the dream. Scott has written hundreds of songs and poems and was a musician, a newspaper reporter, dishwasher, carpenter, painter, paranormal investigator, baseball card dealer, and radio announcer. Scott Nicholson specializes in horror and thrillers, often set in rural Appalachia. His debut, “The Red Church”, was a finalist for the Bram Stoker Award. The success of his books at Amazon led Amazon’s publishing subsidiary Thomas & Mercer to sign him to a two book deal. Scott’s newest book reveals a new trend that I believe will become one of the biggest waves in self publishing… the return of the serial. “McFall” is a serial and was released in August 2013. 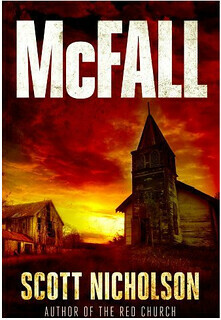 Scott Nicholson’s new serial, “McFall”. Laury Dahners shows how a professional can have an active full career and write novels as well. Laury Dahners lives in Chapel Hill, North Carolina and is an orthopedic surgeon who teaches at the University of North Carolina Medical School, Department of Orthopaedics. He became interested in writing novels and has written a great science fiction series in his spare time that I enjoyed reading. 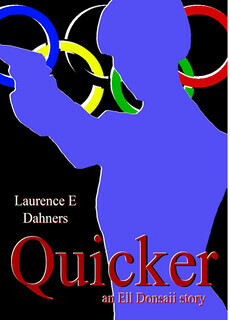 Quicker is the first book in Dahner’s Ell Donsaii series. I like this series because Ell Donsaii is an upbeat heroine who you might like your daughters and granddaughters to emulate. No dark souls here! 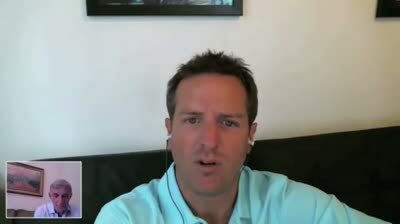 Hugh Howey Self Publishing Interview on How to Focus on Writing. 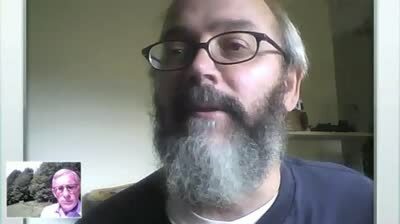 Hugh is a writer that every self publisher should meet and hear because his educational background has little to do with his writing and he only recently began selling his books. His self publishing company is already exceeding a million sales. Yet selling has not been his main goal. Hugh’s story teaches us many lessons. First he shows that you do not have to have a degree in literature to succeed in writing. He dropped out of college and moved from job to job, being a Caribbean yacht captain, doing computer repair, roofing, and finally working in a small Appalachian town as a bookstore clerk. This is inspiration… these earnings, but his love for writing and lifestyle tell an even more important tale. Part of Hugh’s story is his formula for lowering the sales price of his really good books to as low as $.99. This compares to the typically $9.99 to $12.99 for books offered at Amazon.com by well known writers. The low price started a nucleus of people reading his book. The story tapped into the National Psyche. Readers loved Wool and suddenly sales of took off through word of mouth. After the book became a best seller at Amazon.com the foreign rights, six figure print deal (he turned a seven figure offer to keep his digital rights) and film rights flowed naturally. We’ll look more at the importance of tapping into the national psyche and the process involved in a moment. You can start anywhere as well. Hugh H0wey did all this from Boone North Carolina, a small mountain town population 17,189 people. Then to my surprise and joy I learned that he was spending time in West Jefferson, North Carolina, our shopping town and found that we had mutual friends and had both been invited to a dinner. 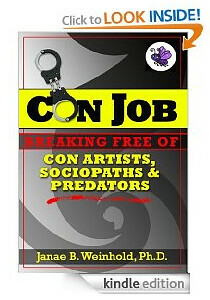 Hugh graciously agreed to an interview that can help inspire self publishers. Here are other portions the Hugh Howey interview. Hugh Howey and Gary Scott on Story Telling. See the entire interview with our online course on how to write to sell.